It is Memorial Day and also the kickoff of burger and hot dog grilling season I wanted to start with a big juicy burger post. I gave up eating red meat three years ago so I mostly eat chicken burgers these days. The texture of ground chicken is very loose so it really must be done in a skillet and it works out great for me since I don't own an outdoor grill. I made these burgers juicy with grated onion and then melted American cheese and topped it with bacon to give it the extra "wow" factor. I actually put ranch dressing as my condiment of choice for my burger and it was fantastic. Of course my kids are traditionalist and wanted ketchup. My husband ate his without any ketchup or dressing... he thought they were seasoned just perfectly and didn't need anything else. I was happy the burgers were a big hit and I've already been requested to make them again. This is fine with me since it took less than 20 minutes to get dinner done. We ate it with some fresh corn on the cob and had a fantastic meal. So next time you think Bacon Cheeseburger... think chicken! Mix all the ingredients together. Heat a skillet on medium-high heat. Coat it with a little oil if needed. I recommend a nonstick pan. Form burger patties (the mixture will be loose so apply a little oil to your hand so it doesn't stick. 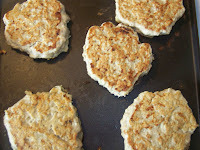 Place them on the skillet and cook on both sides until brown and cooked through fully. 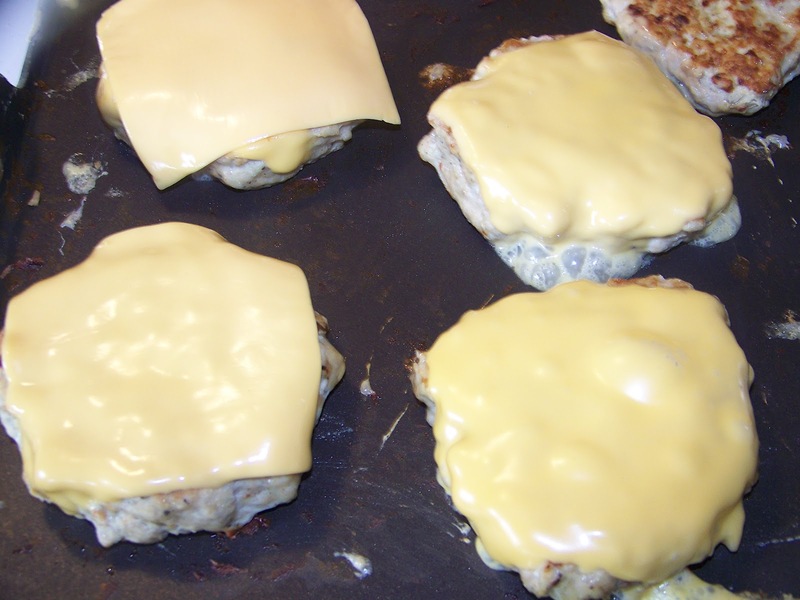 Add a slice of cheese on each burger and melt. 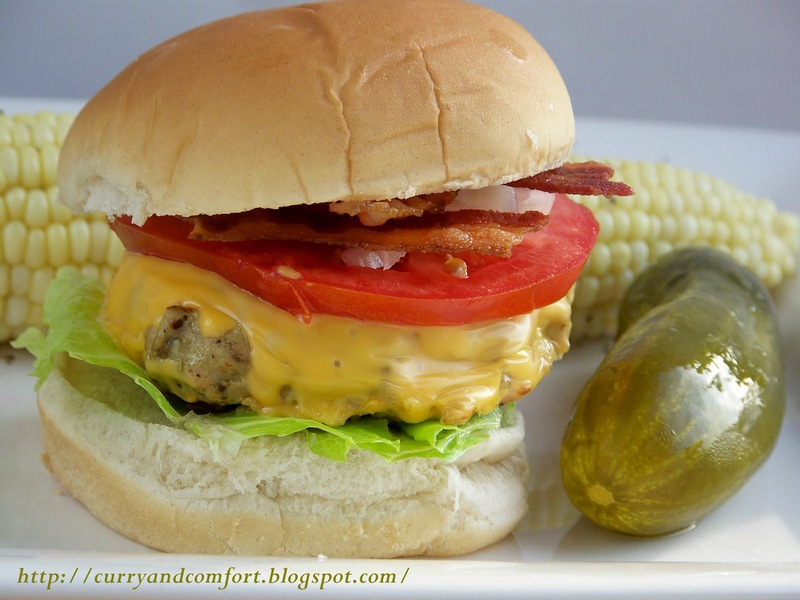 Place in buns with your condiments and bacon. Enjoy. Mouthwatering burger, looks so yummy. That's a great looking burger! 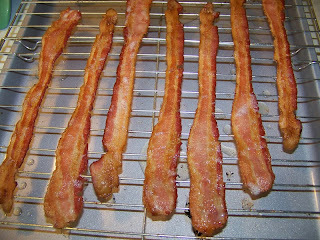 Great idea with the bacon! These look like the BEST ever chicken burgers! I'll have to test these out on the family!!! I can't imagine giving up red meat! 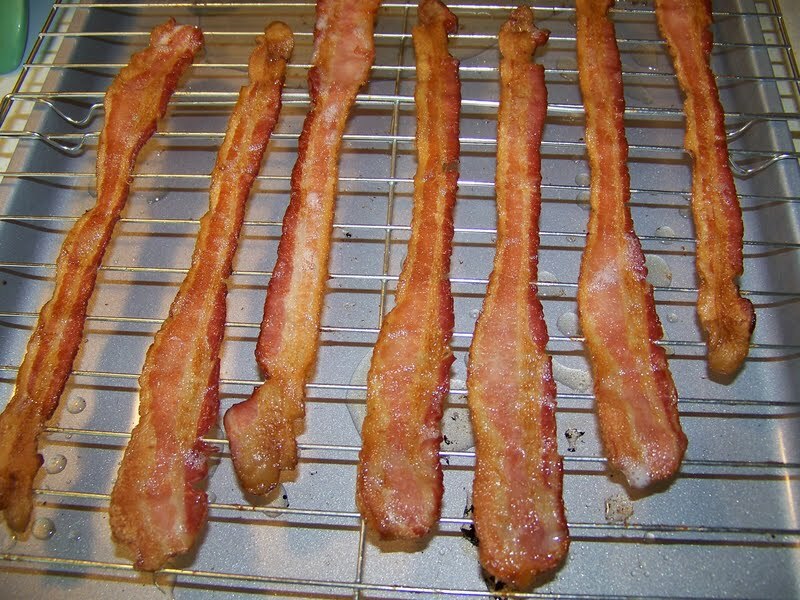 Thank god for bacon! These sound good enough that I wouldn't miss the beef though! Hope you have an amazing holiday! Perfect meal for memorial day,I do like chicken or turkey burger than red meat,have a wonderful day and happy memorial day to you,Thanks for your support and lovely comments on my last post,appreciated as always !! 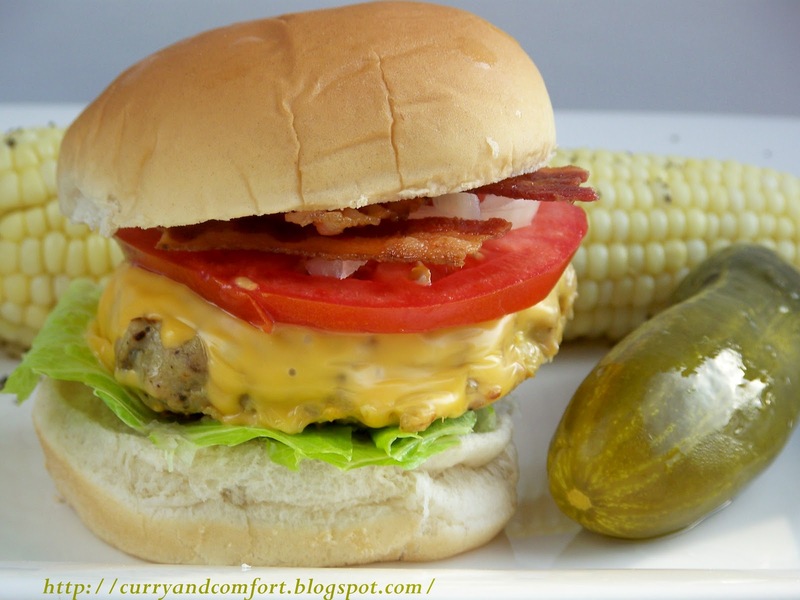 I love poultry burgers more than anything in the summer, and the bacon on this one would totally please my husband :) Love this! Omg, thats an incredible cheeseburger..cant take my eyes from ur clicks. looks delicious! I make burgers out of turkey all the time, I need to start experimenting with chicken now that I see this! 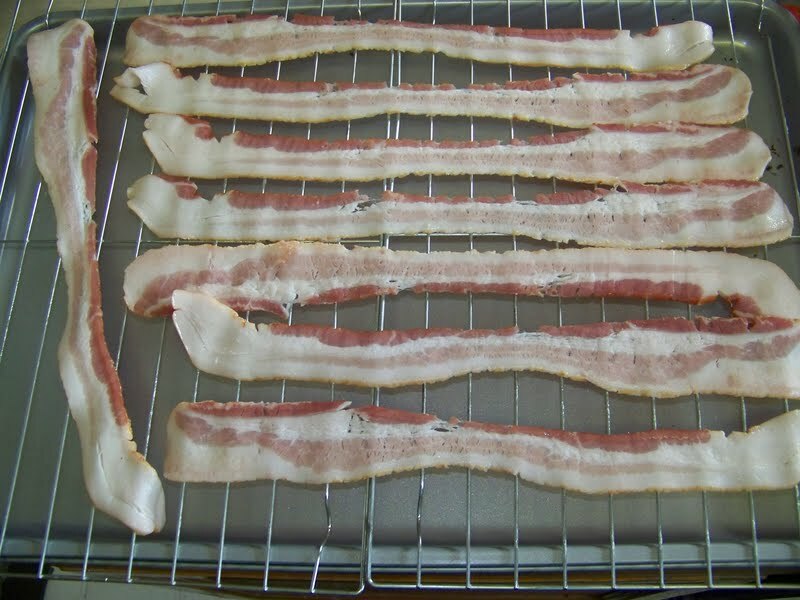 I recently started baking my bacon and it's works great, no messy stovetop. Good looking burger and the weekend visit went well. Thanks for your tips! Good idea to make chicken burgers! I need to go for lean and mean instead of red and juicy and these burgers hit the right spot. And it can all be done within 20 minutes! Wow, that’s my kind of meal. I am trying to cut back on my meat intake big time. My husband and I agreed that chicken and fish are OK but in small quantities. 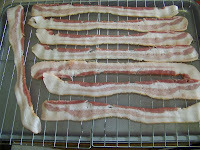 I will be making this recipe soon. I always forget about using ground chicken for burgers! 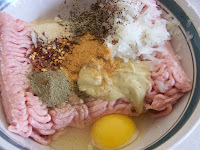 This looks yummy and is a nice, leaner option than beef! I have to be honest that I've never used ground chicken for a burger. I wouldn't have known yours was chicken if you hadn't mention it. It looks absolutely delicious, just like a burger should! All you need now is a little green chile! :) Hope you had a wonderful Memorial Day weekend my friend!